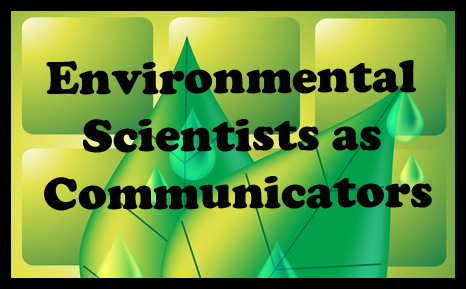 Sloan-funded research: environmental scientists as communicators – microBEnet: the microbiology of the Built Environment network. Lee Ann Kahlor and her team at the University of Texas Interviewed nearly fourscore U.S. researchers in academia, government, defense and private industry to try to understand researchers’ perceptions of the challenges and opportunities for science communication to a wider audience (lay and decision makers). The researchers came from specializations including microbiology but also biochemistry, environmental health science, toxicology, occupational safety and health, pathology, epidemiology, environmental engineering, and medicine. – Topics they find difficult to explain to lay audiences ranged from acronyms to vector-borne diseases. Most frequently mentioned were mold, bacteria, and exposure. – Mold, bacteria and exposure were also the top responses when scientists were asked to list topics that lay audiences ask about most. – When asked to point out what decision-makers need to know, the focus turned to impacts and regulations, including health impacts, building design codes, and the need for regulations and more integrated research programs. – The most common barriers to understanding for decision makers included: lack of awareness of indoor environmental problems, scientific uncertainty and difficulty of proving facts and correlations, other financial priorities, and lack of money and resources for research. – The most common reasons given for decision-makers not funding IE research were budget and financial limitations, and other political priorities. – When asked what agencies likely housed important decision-makers, interviewees mentioned the EPA, CDC, and NIH, along with more than 70 other local, state, federal and private entities. – Majority see themselves as information sources for laypeople, especially regarding health concerns. This runs counter to assumptions that scientists do not engage the public about their work. – Majority indicated they are known for making their research understandable, citing their engagement in numerous public communication activities, including talking to journalists, giving lectures, teaching, writing papers, and conversing directly with the public. – Majority attributed communication success to their skills and communication failures to audience incapacity. – The results suggest 1) themes that need to be better communicated and 2) that IE scientists are willing communicators who, if better trained in communication, may be able to actively help improve the profile of this nascent research area. @phylogenomics Most of my work is making science and economics readable for EPA and others. I LOVE it.